What an amazing weekend. 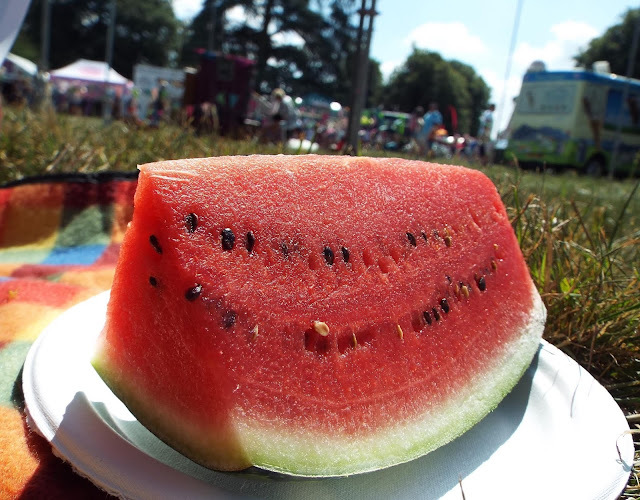 Helped of course by the most amazing summer weather that many of you will ever have experienced. 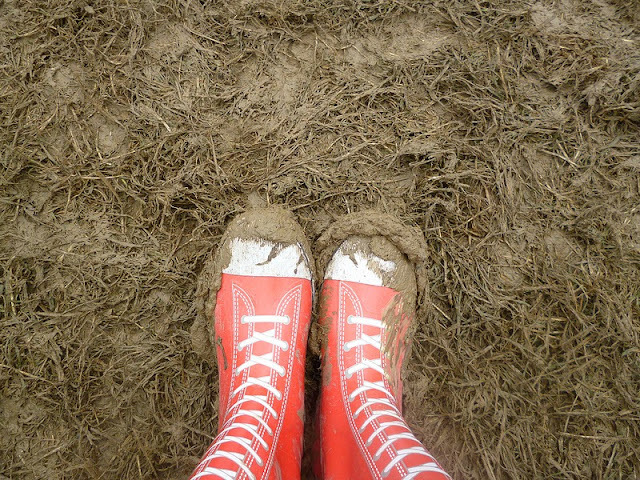 After several weeks of blazing sun and high temperatures a part of me was afraid the weather would break just as the festival season kicked off, but no! The weather Gods smiled upon us and Cornbury went ahead with scorched grass and blue blue skies. I will tell you though that the site was beautiful, a bit hilly but you could avoid that if you arrived early or didn't mind a bit of a squeeze between the tents. Car parking was well organised and close to the campsite. We used our trolley but there were wheelbarrow style trolleys to hire if you needed them. The campsite had the usual portable toilets and they were regularly checked and cleaned, I never stumbled into a grungy one. There were free showers too, and lots of toilets for the disabled, in fact the entire festival was really disabled-friendly. 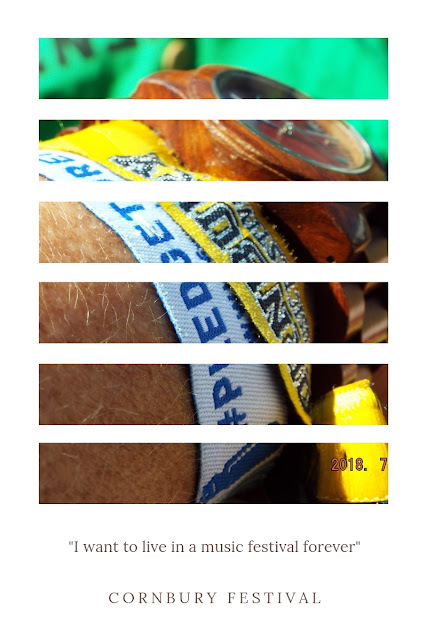 As you know I only have a minor disability, but for those that needed extra help there was a great accessible viewing platform for the main stage, the paths were all flat and grass mown short,and I saw several tweets about how good the facilities for the disabled were. What a lovely day yesterday at @Cornbury - here’s the very lovely @JMRoss family whose day was possible because of the organisers booking a Mobiloo. Hope you had a brilliant day! In the campsite there was a shop selling essentials (such as ice! 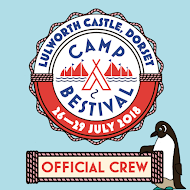 I can't tell you how fabulous it was to be able to buy ice for the cool box at a festival, cold gins in tins are a definite essential) and couple of food stalls for breakfast, hot drinks and late snacks, there was even a campsite bar! The vegan choices at the festival food stalls was limited but what was available was delicious, my teen was thrilled to discover some vegan ice cream (sorbet). I of course consumed all the food...all of it, amazing Goan fish curries were my favourite, but I also had pizza, and on Sunday a half of a chicken!! 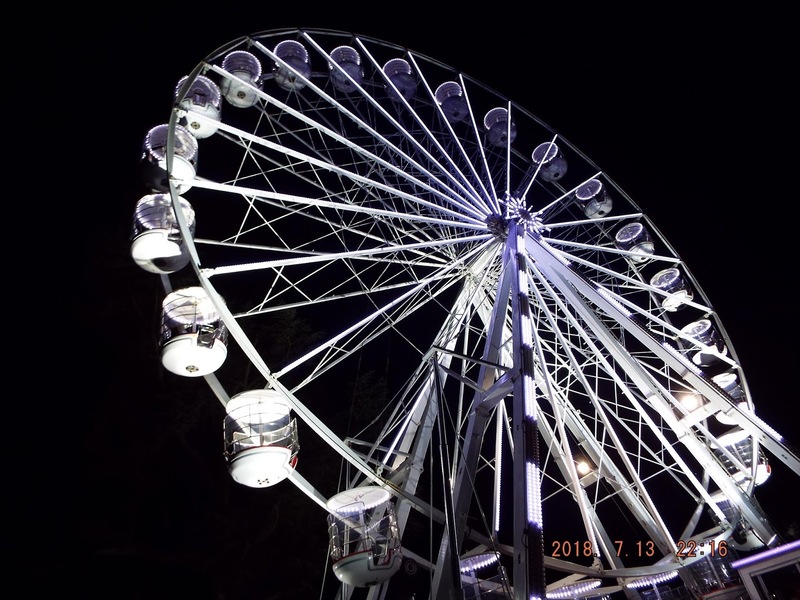 The site managed to squeeze in a giant big wheel, and an entire fun fair, complete with dodgems and a haunted house and a helter skelter, a mini cinema, several stages, shops, and numerous bars. No festival is perfect, and I would probably advise a program redesign, as finding the clashes was tricky - a timeline would have been good for each stage. I would have liked more vegan food options too - although the Goodness Gracious team were really lovely and my teen was happy to eat their vegan burgers several times. 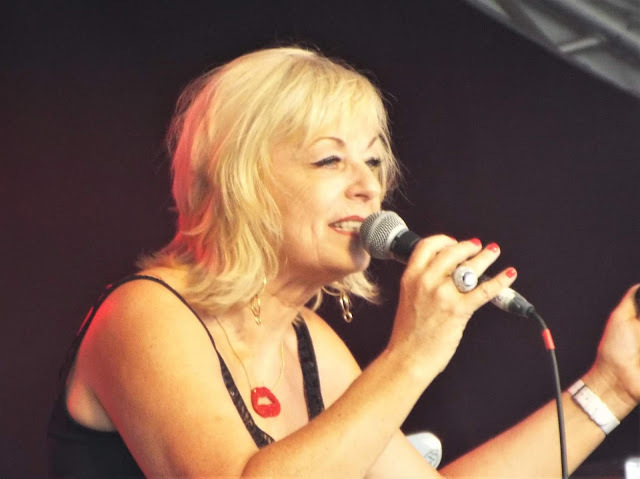 I did too much shopping, too much eating, too much drinking and too much sleeping, which seems to me to be exactly what a festival is for. 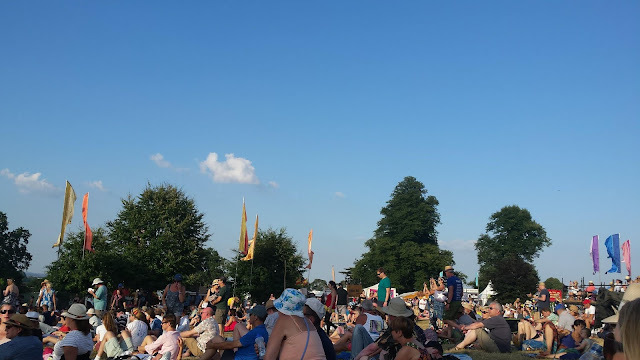 I would recommend Cornbury for anyone who loves a well run slightly posh festival (not all that posh, they let me in) and especially for any disabled festival goers or wanna be festival goers. 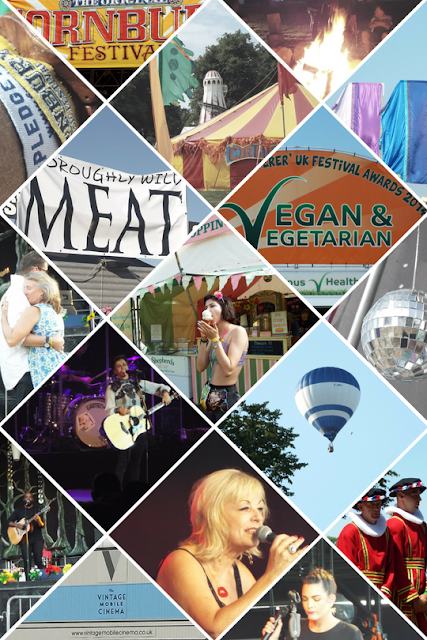 Cornbury is a great festival for families too. 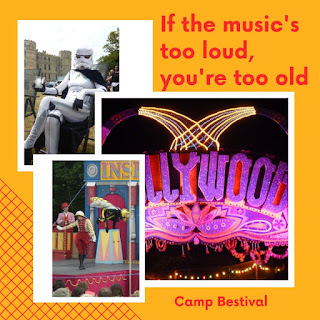 And don't just take my word for it - I bumped into a blogging chum there and she reviewed the festival too - on her Blog here MadMumof7 It was Afra's first festival and she loved it! 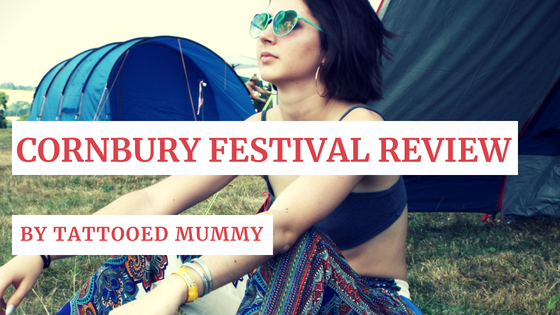 Disclosure : I attended Cornbury as the festival's guest in order to facilitate this review.